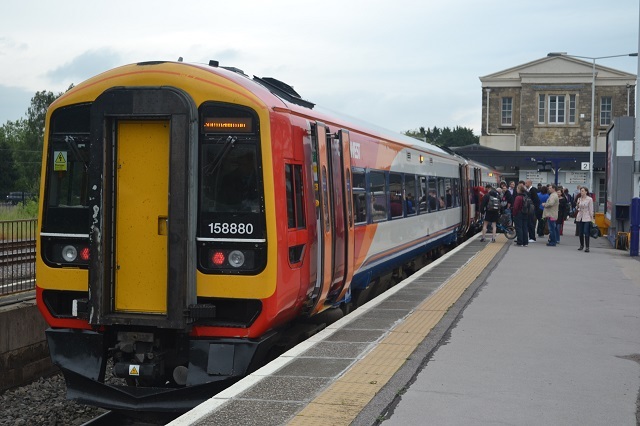 I have posted this on this board as the SWT hire 158 works mainly on the Golden Valley Line. Following conflicting stories, I was wondering if somebody on the inside could say if the lease is still operating. I made a point of going to see on Wednesday at Gloucester and it's Golden Valley Diagram was an FGW (150/2) Unit. Not on the inside, but it's use appears much more sporadic over the last month or so. It seems a SWT 158 is back in use on the Golden Valley line. Seen it quite a few times in recent weeks. What you see now is not necessarily the exact Timetable for May in RTT. What you see re the ECS is what was carried forward from the previous Timetable and, at this stage, some editing will still be required.